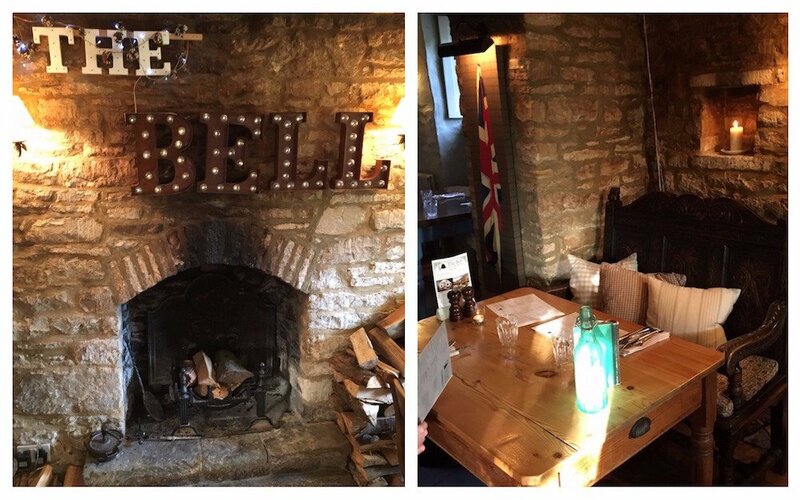 Could The Bell at Sapperton be one of the most perfect country pubs in England? Well, it won the Muddy Award for Best Destination Pub! 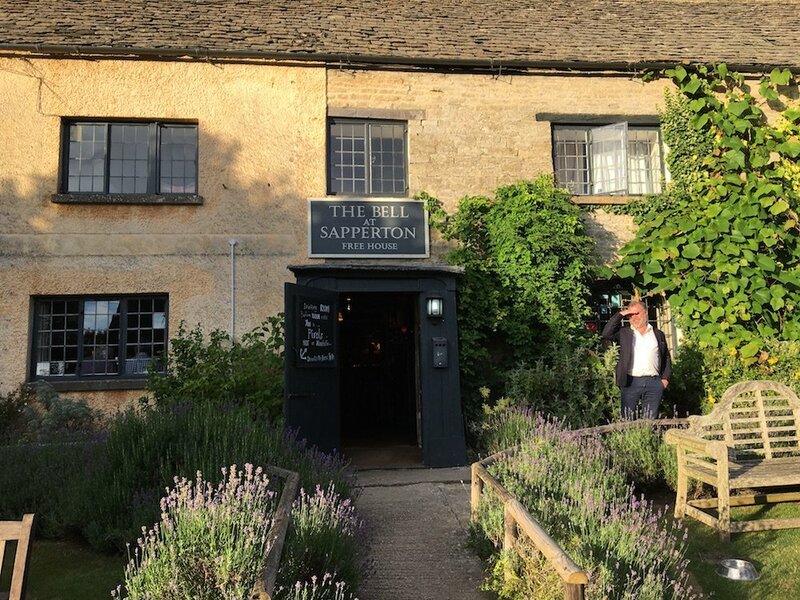 Sapperton is renowned for its association with the Arts & Crafts movement and the village is a perfectly preserved William Morris dream – it’s so unspoilt, you can hardly believe the 21st century has actually happened when you land here. 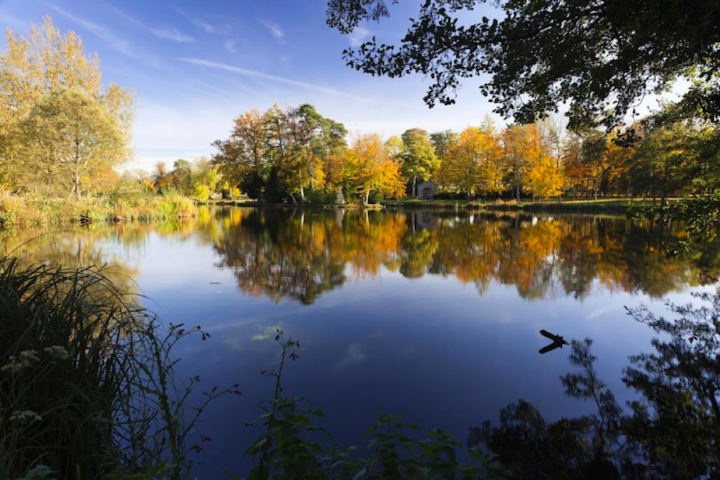 About a quarter of an hour from both Cirencester and Stroud, it’s prime walking territory, with short and longer hikes on the doorstep taking in ancient woods, riverbanks and canal towpaths (Sapperton is also famous for its long canal tunnel). 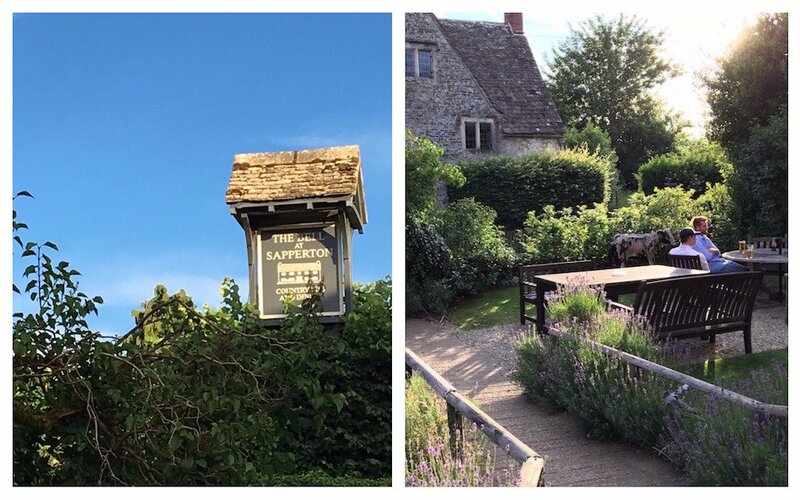 The countryside, like the village, is immaculate and The Bell at Sapperton is the perfect embodiement of the Cotswold good life. Although this is a quintessential country pub, there’s something of the London gentleman’s club about The Bell – it’s got a discreet demeanour and aesthetic (think oak furniture and plaid), and you feel like you’re being welcomed to a second home, a place so comfy and cosy you can just kick back and snuggle in like the old member the staff make you feel you are. It’s all nooks and crannies indoors while the exterior is wrapped around with lovely gardens and terraces. 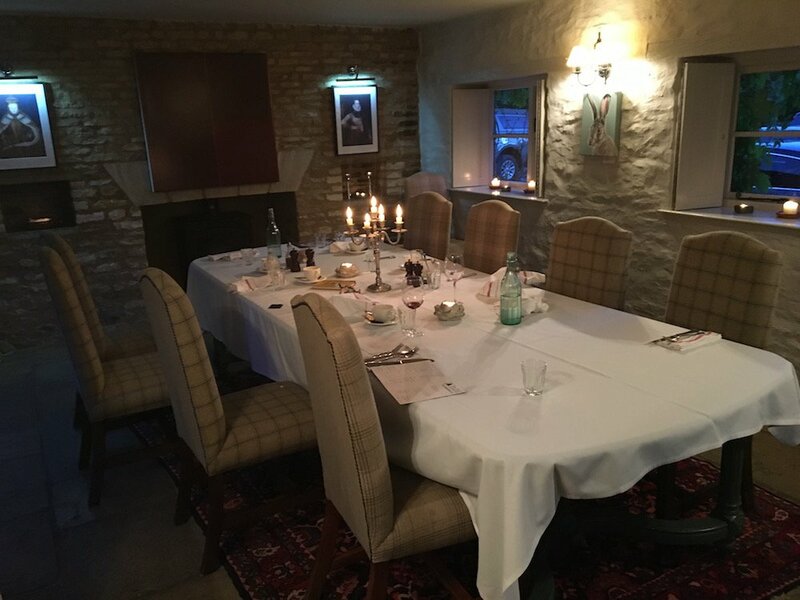 I went on a Friday night and there was a low-key, good-time vibe going on, with quite a few couples, a large family group – there’s a fab, big table that you could easily fit ten around – small family groups, some couple friends à quatre and bloke mates. Kids were playing in the gardens and wandering the pub unattended with no eyebrows raised, and it all felt very relaxed, but at the same time a bit special. There’s a hint of old-school nostalgia in the menu with retro classics such as Prawn Cocktail with Bloody Mary dressing, Whitebait and Tartare Sauce, and Sausage & Duck Leg Cassoulet. But it’s all been brought right up to date with some high-end cooking coming out of the kitchen. As well as hearty fare – said cassoulet, bangers & pies, haddock & chips, a whole roast chicken(! ), offerings from the grill – there are also salads and sharing platters, sandwiches on the lunch menu, and starters that also serve as light bites. 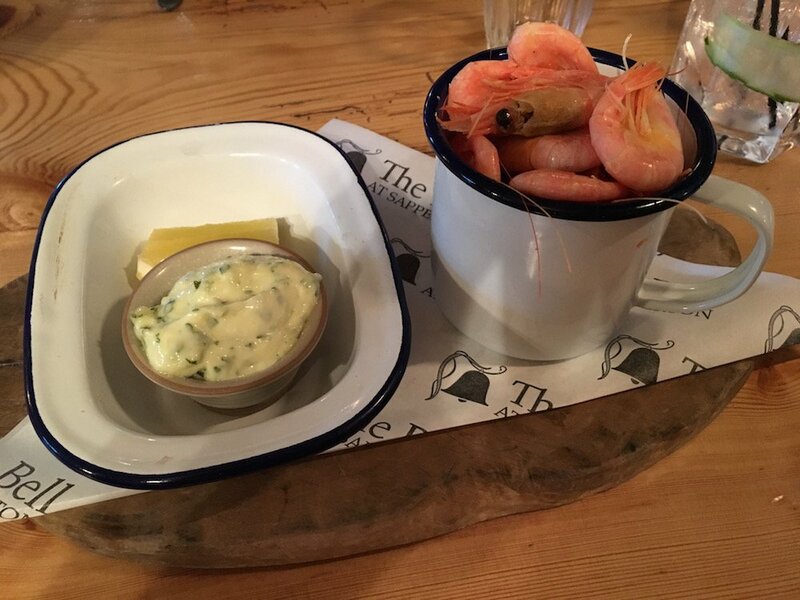 For us though, they were starters – whitebait for Mr M and prawns with garlic aioli for me. 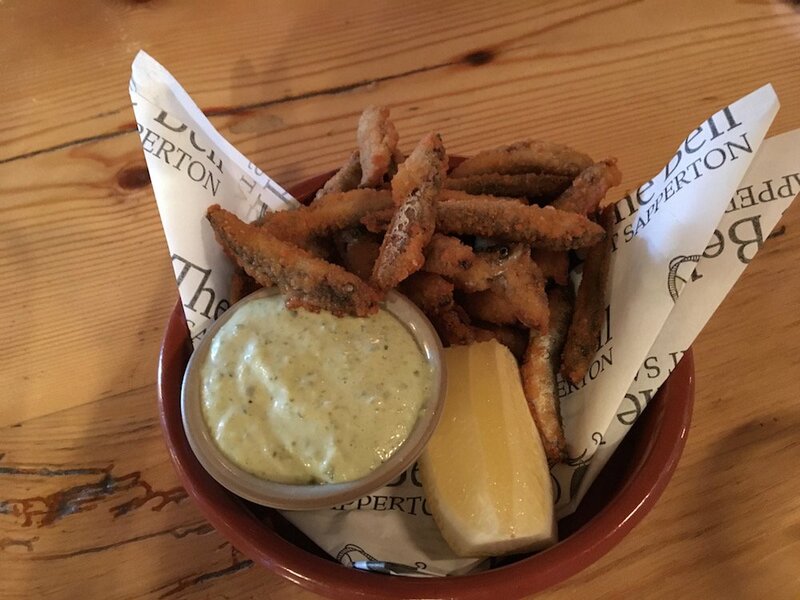 Both were delicious – the aioli was particularly special and too good not to share as it went rather well with the whitebait too. 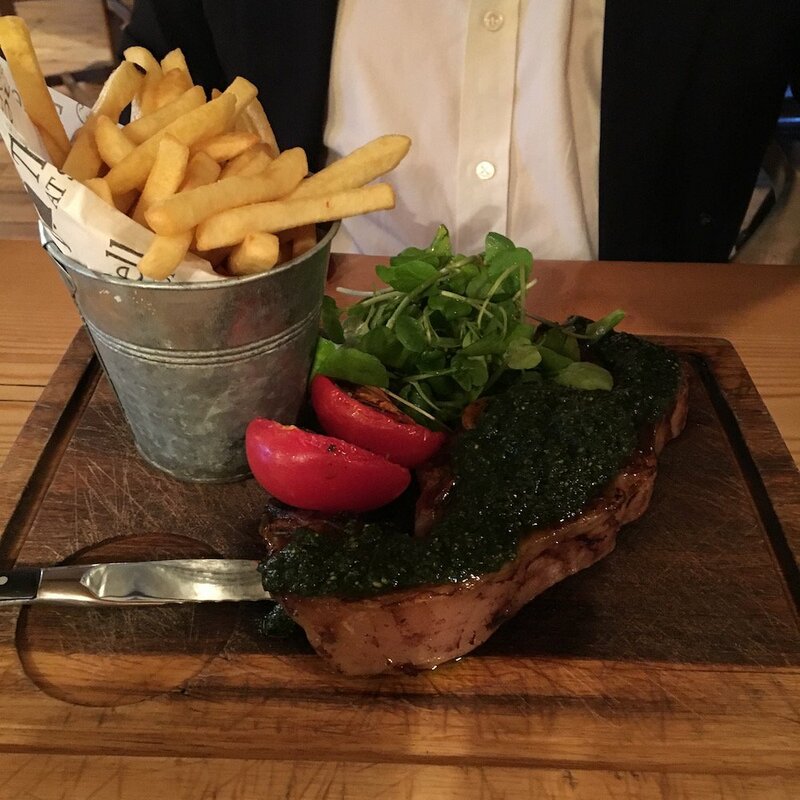 For mains, Mr M chose the lamb chop with mint pesto, which was a whopper (a Barnsley chop, which is effectively a double loin chop). Nicely pink with the mint pesto adding an original flavour, it came with some delicious fries, which I couldn’t help pinching. 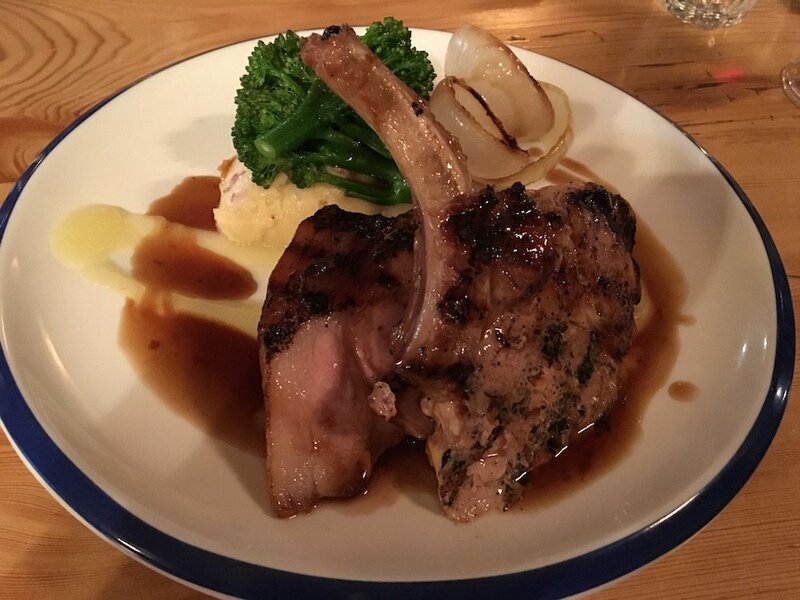 I opted for the pork chop from that night’s specials menu, served with Colcannon potatoes (Irish mash with cabbage), broccoli, apple sauce and the kind of gravy that makes you want to lick the plate. The whole thing was perfectly executed and, like the lamb chop, it was a nice, hefty slab of meat. No mean portions here. Despite feeling quite full, nothing was going to stop me from trying the (gluten-free) orange and almond cake with coconut cream. And I’m very glad I found room for it. 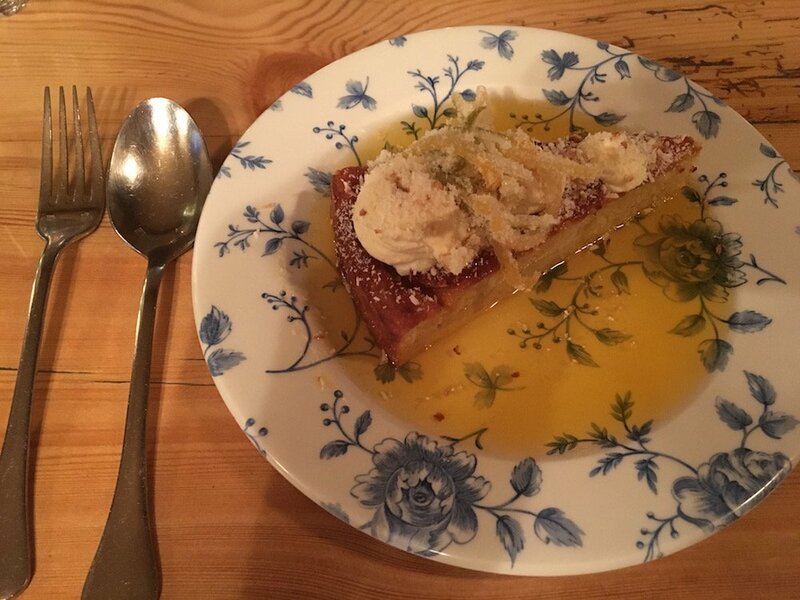 A dense, flavoursome slice of cake bakery, it was garnished with homemade sugared citrus peel that would have had Paddington Bear swooning. 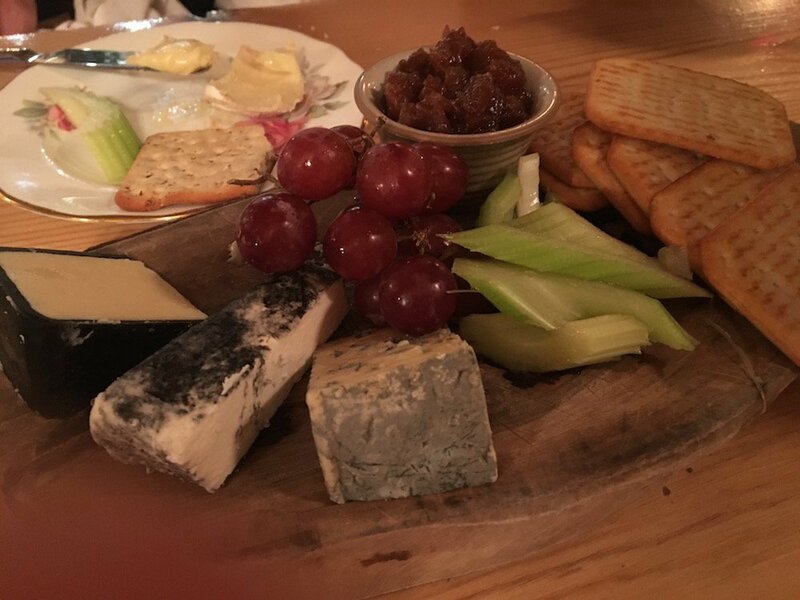 Mr M valiantly attacked a cheeseboard of local cheeses (the Cerney Ash goat’s cheese looked particularly good) that could have been sitting for a Dutch master. 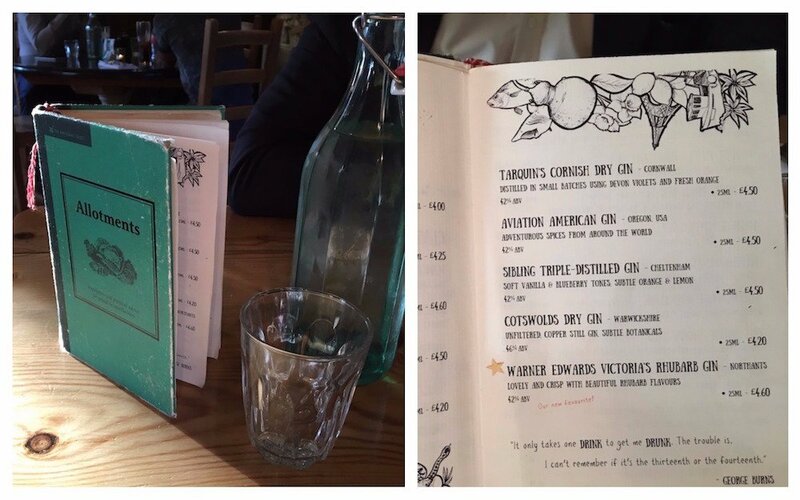 And the drinks menu, slotted into an old gardening book with beautiful graphics and illustrations, was equally artistic. We both opted for G&T as an aperitif (though I slightly regret not trying the Salted Caramel Espresso Martini). Like a lot of pubs, there was quite a selection of artisan gins. I was recommended the Warner Edwards Victoria’s Rhubarb Gin, which was possibly the nicest gin I’ve ever tasted! 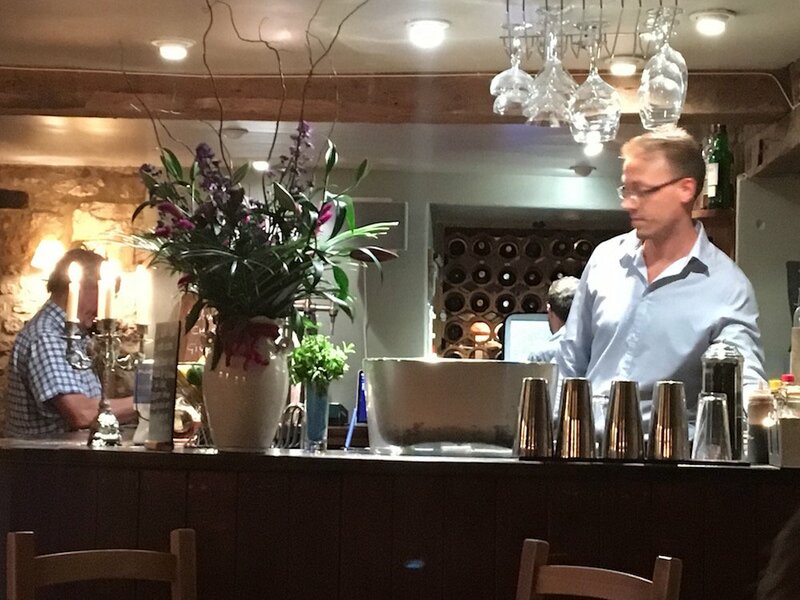 The wine menu was broad and well signposted and Mr M picked out a smooth, plummy French number – an Ardèche Merlot Syrah – which was very quaffable. Very. As mentioned, on our visit kids were running around having a laugh and being largely ignored by adults. The outside space is generous and the village so sleepy you’d feel confident about letting kids with a modicum car sense off the leash. There’s a well-priced kids’ menu with pasta bolognaise, cheesy pasta and the like for just £6, and the kitchen can also adapt most dishes on the main menu. You’re at the end of the Wysis Way here, a 55-mile walk between Wye Bridge in Monmouth and Kemble down the road, with the Sapperton stretch taking in the River Frome and Thames and Severn Canal. 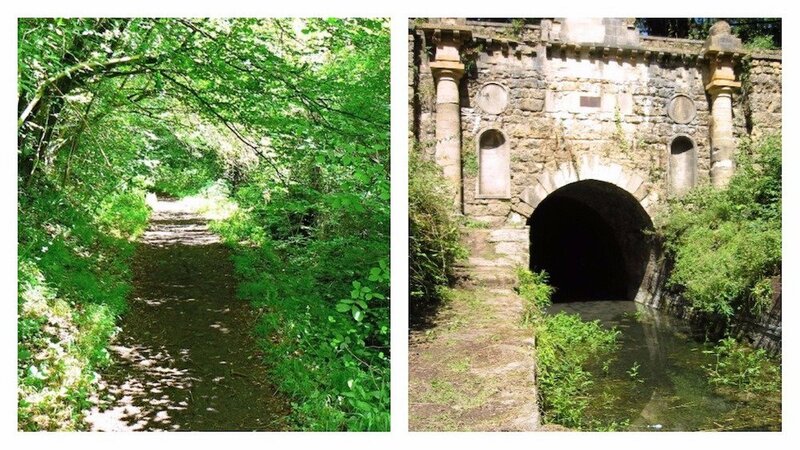 There’s also a circular two-mile walk which visits both ends of the Sapperton Canal Tunnel. As mentioned Stroud and Cirencester are both only 15 minutes’ drive away and if you want to you can walk to or from Cirencester via the Bathhurst Estate (where Wills and Harry used to bomb round in old cars in their youth) in two hours. Good for: It pretty much ticks the box for everyone I reckon – families with kids, grown-up families, loved-up couples, mates meeting for lunch, walkers, riders (there’s a horse park!). There’s also a private dining room that seats 14 which would be a great place for a dinner party that you didn’t have to cook yourself. Not for: Décor is well-heeled country living not urban cool, so don’t come looking for an edgy vibe. It is Sapperton after all, one of the hubs of the 20th-century Arts & Craft movement. Edgy isn’t in its DNA. The damage: Very reasonable. Starters are around the £6-£7 mark, mains from £12 and puds come in at around £6. Lunchtime sandwiches served with fries (there are fish finger sandwiches people!) 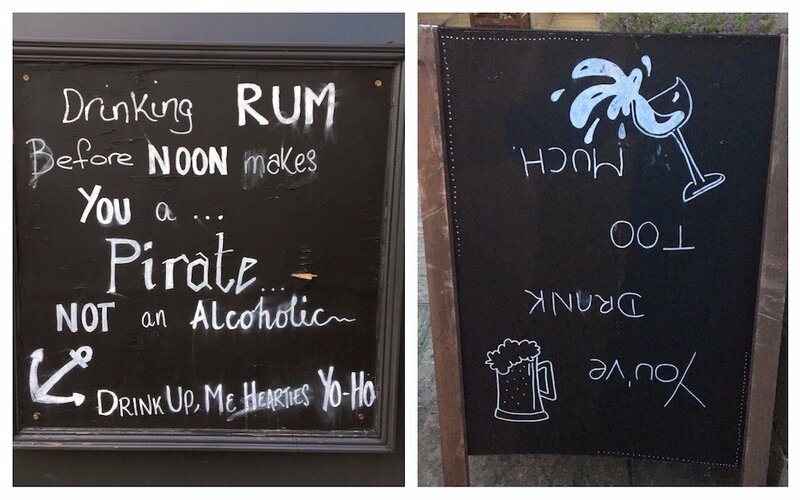 are £6-£9. 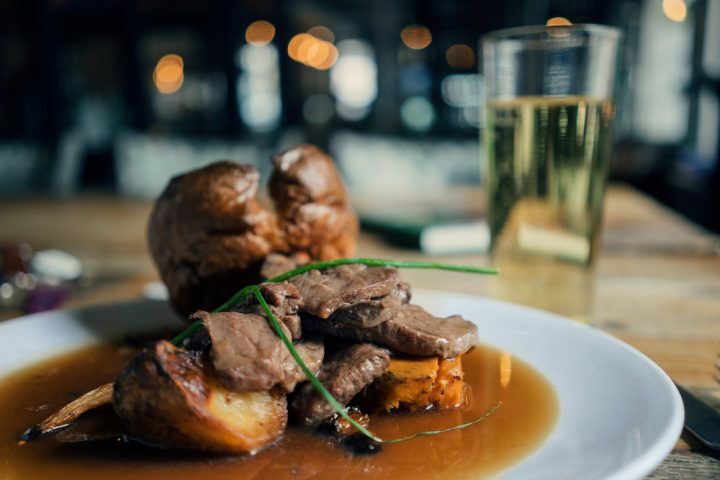 Sunday roasts range from £15-£18.